Growing up, did you have access to LGBTQ inclusive literature at the local library? If so, how did that make you feel? If not, do you think having access to such materials would have changed anything for you? Based on your personal experience, why do you think that the inclusion of LGBTQ content at the public library has caused such a strong community reaction? In the article, one proposed solution would label and separate the 168 books that feature LGBTQ content. In your opinion, is this an option that should be considered? Why or why not? 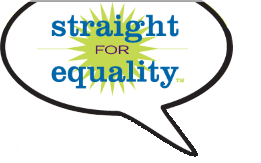 It also has a standing GLBT Roundtable, has offered the Stonewall Book Award since 1971, and releases the ALA Rainbow Booklist every year!